I went on the April 1 trip a month ago, and had a blast. What a strange, but fascinating experience. The guides were wonderful, as were activities and sites visited. I recommend this service to anyone looking to get a glimpse of the most closed country in the world. 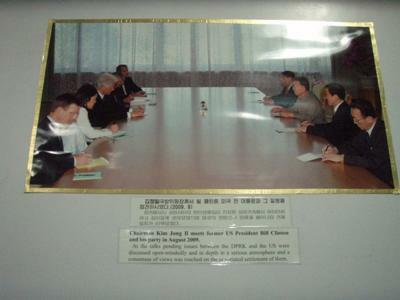 Bill Clinton in North Korea! Nice picture! Perhaps you'll get a picture of jimmy Carter the next time you go!